Philo Beddoe is your regular, easygoing, truck-driving guy. He's also the best barroom brawler west of the Rockies. 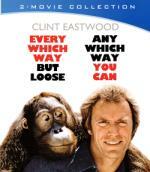 And he lives with a 165-pound orangutan named Clyde. Like other guys, Philo finally falls in love - with a flighty singer who leads him on a screwball chase across the American Southwest. Nothing's in the way except a motorcycle gang, two sneaky off-duty cops and legendary brawler Tank Murdock. I haven't seen this one since I was a kid... and I must say I remember it being better then this, Not that this was a bad film... I enjoyed it very much, It is just slower then I was thinking and there was scenes I was remembering that wasn't here. I think I was combining this one and it's sequel in my head. But this one is well worth the time put in to watch. Recommended. I just started watching X-Men Apocalypse yesterday. I have another half an hour to go. But so far I am disappointed. Uninteresting villain. The movie seems to disrespect the old X-Men movies chronology completely. But there are some nice scenes. I think with another villain it would have been quite good. E.g. have Eric be the main villain. Funny lines were there were discussing the classic Star Wars trilogy. The second is the best, says one of them (I think Nightcrawler as he was in the second X-Men movie). Then the other says, that the first one is best, because without it, there wouldn't have been a second one. An then Jean Grey says, that the third movie in a trilogy seems always be the worst. Hinting that the third was the one where their butchered her storyline. But what I was thinking is, that their discussion is also valid for this new X-men trilogy. 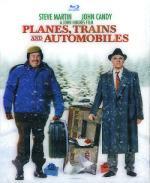 Steve Martin and John Candy star in John Hughes' classic tale of holiday travel gone awry. Neal Page (Martin) is an uptight advertising executive trying to get home to Chicago for Thanksgiving. When his flight is rerouted to Wichita, he reluctantly partners with Del Griffith (Candy), an obnoxious yet loveable salesman. Together, they embark on a cross-country adventure that includes various modes of transportation, hilarious mishaps, and unforgettable rental car shenanigans. Planes, Trains and Automobiles is "a screwball comedy with a heart" (Roger Ebert, Chicago Sun-Times). Loaded with special features, the"Those Aren't Pillows!" Edition is a perfect holiday treat that lasts all year. This is a good movie.. though I must admit I didn't find it as funny as I remembered it being from when I first seen it back in my teens. But definitely worth the time put in to watch it. Matter of fact... I can see myself watching this one every year for my Thanksgiving marathon. 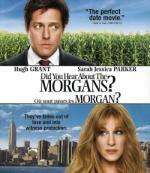 Hugh Grant and Sarah Jessica Parker star in this delightful comedy about finding love in the most unexpected places. Two successful New Yorkers, Paul (Grant) and Meryl (Parker), are at their wits' end with repairing their strained marriage. But when they become the only witnesses to a brutal murder, the police hide them away in Wyoming – together. Now these die-hard city dwellers will have to survive the weather, bears, fresh air, and forced time with one another if they want to make it out alive. First let me say I have never been a fan of Hugh Grant... there is something about him that has just always bugged me.But I have liked Sarah Jessica Parker for years... first seeing her in the the early '80s TV series Square Pegs. 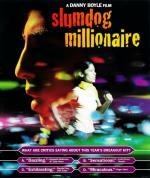 This film... while entertaining wasn't the best romantic comedy I ever seen. There was things about both characters I didn't like. Though mostly with him. But over all an entertaining film I can see myself watching again. I found this to be a good and interesting take on the story. Though I must admit that I was limited on knowledge of the story to start with. I must say the visual effects was good and story easily kept my attention. 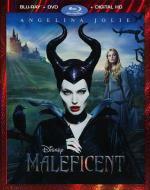 I thought that Angelina Jolie did a great job as the title character. Actually I think everyone did well. For me the downside to this one is that the 3 fairies that took care of Aurora were a bit silly and aggravating to watch. But over all well worth the time put in to watch it. Holy mix-ups, Batman! Gotham City's most vile Super-Villains - including The Joker, The Penguin, The Riddler and Catwoman - unleash a plan to take over the city and, ultimately, the world. Armed with the diabolical replica ray, the Super-Villains create a real who's who for The Dynamic Duo. While it's double trouble with Batman clones running around, the real Batman falls under the spell that turns him bad. Can Robin, The Boy Wonder - with a little help from the dubious Catwoman - set Batman straight and free Gotham City from the clutches of fiendish felony? 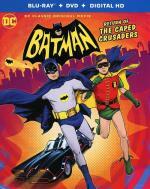 Starring the hit TV series voice talents of Adam West, Burt Ward and Julie Newmar, this all-new DC Classic animated movie will have fans rushing to the Batcave! OK... what did I watch here? This one is definitely only for those that have fond memories of the '60s Adam West TV series... which I did watch as a kid. So this one does have a touch of nostalgia for me... but at the same time not as it is a new film. Just made in the way of the old series. 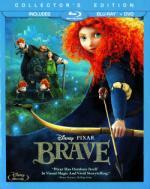 Right down to 3 of the series stars doing voices for this animated film.I felt this one to be hilariously awful. But for those that don't know or didn't like the '60s it would just be plain awful. This film made me realize just how much I prefer the modern animated Batman movies! 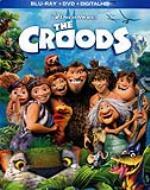 Join the Croods on the journey of a lifetime in the epic comedy-adventure that "has the magical wonder of How To Train Your Dragon." When their cave is destroyed, the Croods set out to explore a spectacular landscape filled with fantastic creatures, strange surprises, and a whole new world of adventure! This one I enjoyed quite a bit. I found it to be a really fun watch. It has some big names that I really like. I also liked the settings and timeline it took place in. It made for some great visual. While a bit on the silly side it is well worth the time put in to watch it. Jennifer Lopez stars as a Zoe, a single New Yorker who dreams of meeting Mr. Right, having a baby and living happily ever after. But after a string of Mr. Wrongs, Zoe commits to her back-up plan: an appointment with a specialist and a solo flight into motherhood. But Zoe's plan proves far from foolproof when moments after her procedure she is swept up into a whirlwind romance with Stan (Alex O'Loughlin), the man of her dreams. Can Zoe hide her pregnancy until Stan is ready for the truth? Or will the truth send him packing? 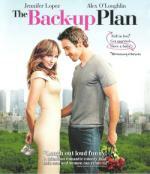 The Back-up Plan is a hilarious romantic comedy about courtship, love, marriage and parenthood – but not necessarily in that order! i enjoyed this one quite a bit. It has a fun story line and there is a few cast members here that I am familiar with. The main male lead Alex O'Laughlin I know from a few different TV series... currently Hawaii 5-0. Then for a blast from the past... Tom Bosley from Happy Days and Linda Lavin from Alice are both in this one as well. While like most romantic comedies I found this to be highly on the predictable side...there is a lot of fun moments leading up to what you know is coming. I found it to be well worth the time put in to watch it. I enjoyed this one quite a bit. I liked the strong female lead character. Though I will say it isn't quite the movie I was expecting...I somehow had the misconception that this was a Mulan type film with her going to fight a war. But I found the film to be a lot of fun to watch... I really got a kick out of her 3 little brothers. This one is well worth the time put in to watch it. 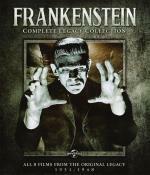 An unforgettable masterpiece, Boris Karloff stars as the screen's most tragic and iconic monster in what many consider to be the greatest horror film ever made. Definitely a classic horror that I enjoyed. Though I will say I find it to be a little slow to start.... it is well worth the time put in to watch it. This film is actually the first thing I ever seen Boris Karloff in. Comedy superstars Louis C.K., Eric Stonestreet, and Kevin Hart make their animated feature-film debut that finally answers the question: what do your pets do when you're not home? When their owners leave for the day, pets from the building gossip with their friends, satisfy their sweet tooths, and throw outrageous parties. But when a pampered terrier (C.K.) and his unruly new "roommate" from the pound (Stonestreet) get lost in the urban jungle of New York City, they must put aside their differences to survive the epic journey back home. 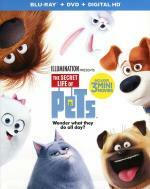 I found this to be a cute and fun film. There was plenty of laughs here. The story is enjoyable and easily keeps your attention the entire time. It is well worth the time put in to watch it. Definitely one I recommend. Vince Vaughn and Owen Wilson team up to crash the digital world in this laugh-out-loud buddy comedy you've been searching for! Trying to reboot their obsolete careers, old-school salesmen Billy (Vaughn) and Nick (Wilson) talk their way into an internship program at the state-of-the-art Google campus, vying for a handful of spots among tech-savvy college students who are half their age and twice as smart. The competition is fiercely funny as Billy and Nick break all the rules in a hilarious quest to land their dream jobs! I found this one to be a fun and entertaining film.... maybe a bit on the mindless fun side... but fun. I liked how they combined the ways of Old School and New School for a winning combination. I liked the cast... especially the two main cast members Vince Vaughn and Owen Wilson. Probably because I can relate more to the older characters then I could the younger. I have always heard this is a good film... thought it was about time to find out for myself. I went in a little nervous about it as this is the type of film I never enjoyed much in the past. But I must admit I enjoyed this one quite a bit. While there was some parts of the story that felt a little slow for my taste...the story itself was done well and the cast did a great job with it. While it took a bit to get me into the story once I did I was hooked and couldn't look away. This is one I feel confident about recommending. 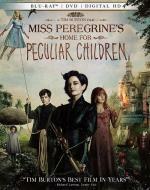 From visionary director Tim Burton comes a "wildly imaginative" (Julian Roman, MovieWeb.com) fantasy-adventure. When 16-year-old Jake unravels a mystery that spans alternate realities and times, he discovers a secret world for children with unusual powers, including levitating Emma, pyrokinetic Olive, and invisible Millard. But danger soon arises and the children must band together to protect a world as extraordinary as they are. Immerse yourself in this "big, bold, and perfectly peculiar" (Silas Lesnick, ComingSoon.net) experience. I have been curious about this one since the first time I saw the trailer. And I must say... it didn't let me down. Great story line... loved the characters... and the cast all did a wonderful job. Now I never read the book to compare... but going in new to all the characters I really enjoyed myself. I don't know if it is meant to be... but it felt like this film could easily fit in with the Harry Potter universe. I definitely recommend this one... well worth the time put in to watch it. When a lonely young boy named Angus discovers a large, mysterious egg along the shores of Loch Ness, no one is prepared for what lies within. He soon discovers that the strange, mischievous hatchling inside is none other than The Water Horse, the loch's most mysterious and fabled creature! 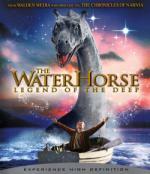 But with the Water Horse growing ten times its size every day, Angus finds it increasingly difficult to keep his new friend a secret. Two-time Academy Award® nominee Emily Watson (1998, Hilary and Jackie; 1996 Breaking the Waves), Alex Etel, Ben Chaplin (The Thin Red Line), David Morrissey (The Reaping) and Brian Cox (Running with Scissors) star in this heart warming tale from director Jay Russell (Tuck Everlasting) and written by Robert Nelson Jacobs (Flushed Away). I found this one to be a fun and entertaining film. One that I feel can be enjoyed by the whole family. A nice idea for a story behind the legend of the Loch Ness Monster. I think the cast did a fine job and the story moved at a good pace. Recommended.